Several years of research into invertebrate-associated viruses have highlighted the occurrence of a class of small, circular, replication initiator protein-encoding single-stranded DNA (CRESS-DNA) viruses in marine and freshwater arthropods, including the water flea Daphnia spp. 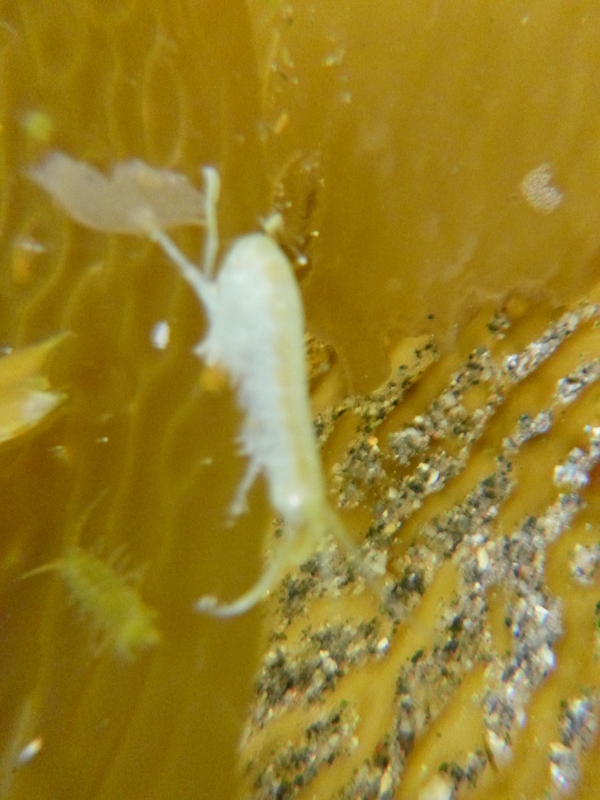 (Hewson et al., 2013), copepods Labidocera aestiva and Acartia tonsa (Dunlap et al., 2013) and amphipod Diporeia sp. (Hewson et al., 2013). The viruses are both active in replication, and present at high prevalence in natural populations. In Daphnia mendotae, prevalence was significantly correlated to mortality (r2 = 0.79) over seasonal cycles of abundance (Hewson et al., 2013). In cell cultures of experimentally infected Spodoptera frugifera (sf9) cells, circoviruses caused enhanced mortality and slower cell growth than in uninfected cells. Despite our observations of circoviruses across a range of crustaceans, we know remarkably little about how they affect their hosts, and moreover how these effects may alter their host’s roles in biogeochemical cycles or food webs. In this project, our focus is on amphipods, targeting the freshwater taxon Diporeia sp in the laurentian Great Lakes, and the kelp amphipod Peramphithoe femorata. Both organisms are important to aquatic habitats for different reasons. Diporeia is a major consumer of settled spring bloom materials, and has experienced significant decline in geographic range in the last 20 years for reasons that are not totally clear. It is a major food source for larval fish. Peramphithoe on the other hand is a major consumer of detrital giant kelps on the US West Coast, which are threatened due to nutrient pollution and ocean-scale climatic phenomena, like el nino. This project is the first to gauge how viruses affect the ecological and biogeochemical roles that amphipods play in their respective habitats. We first will examine the prevalence and viral load of both species amongst variable populations to understand their relationship to host food quality (C:N ratio, lipid content, etc). We will then perform inoculation trials with their viruses in mesocosms to understand their impacts on key biogeochemical process, including NH4+ flux into overlying waters, decomposition of plant material, bacterial production, and inorganic nutrient transformation.